By 2020, Gartner predicts 60% of digital businesses will suffer major service failures due to the inability of the IT security team to manage digital risk in new technology and use cases. With Target, Apple, Nissan, and Twitter all making the news recently for their security failures, CIOs and CISOs are under tremendous pressure to keep the business secure -- without slowing the business down. 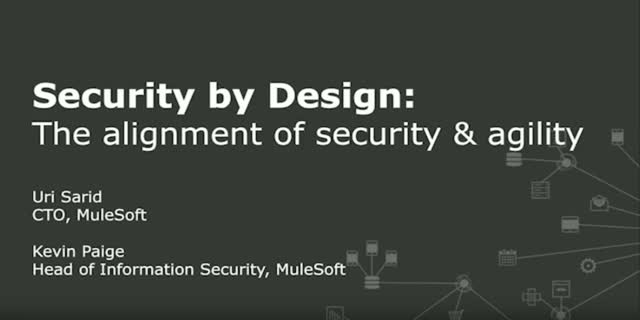 In this session, Uri Sarid, MuleSoft CTO and Kevin Paige, MuleSoft Head of Security, discuss the application networks and an emerging approach that CIOs and CISOs are driving together to deliver both security and business agility.